Major price reduction on 2/1/19 ($150, 000 price drop). Lake Barcroft is an oasis in the city. It has 135 acres of water to swim, fish, boat and relax. It also has 5 white sand beaches that are patrolled by life guards in the summer. Community events include a private 4th Of July fireworks display, Easter egg hunts, Halloween parades, musical concert series, art shows and more! This lovely waterfront home is thought by many to be Lake Barcrofts premiere lot. 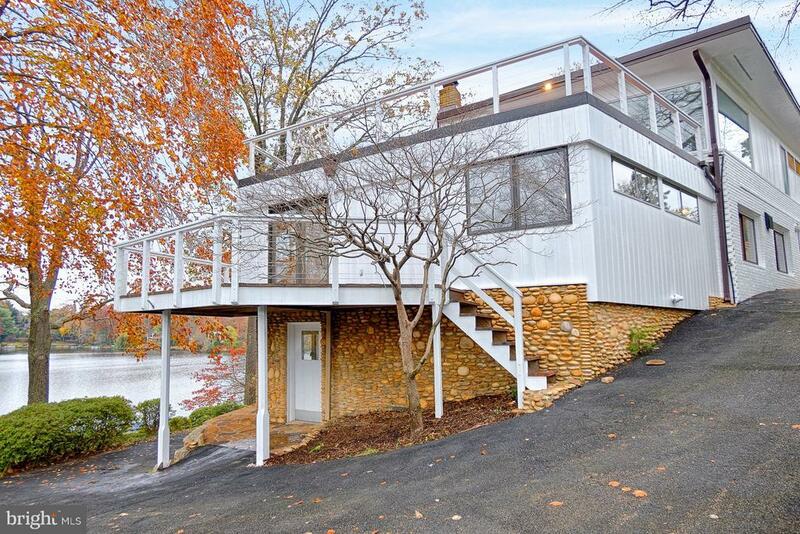 It is a corner lot, perched on a hill and has sweeping 270 degree lake views. It is a contemporary build with an open floor plan, skylights, large picture windows everywhere and an indoor heated swimming pool. Both levels have their own gourmet kitchen and separate laundry facilities. Perfect space on lower level for an in-law suite or au pair suite. Close to Crystal City/National Landing/Amazon Headquarters. Spread the word. This home is a must see! CLICK ON THE OLD-FASHIONED VIDEO CAMERA TO SEE A 3-D TOUR! Directions: From Beach 4, one of Barcroft residents' favorite beaches, take a left on Duff Dr. Right on Blair Rd, right on Columbia Pike, right on Aqua Ter, right on Lakeview Dr. Finally, you take a left on Stanford Cir where you can enjoy the views of Beach 4 from your very own home.